To begin with, we would like to point out that every property is valued differently, so you will need to do some of your own research. You will also need a certain amount of common sense. For example, if you live in a hot country, then installing central heating is not going to add that much value to your house. Especially if there are only a few short winter months and the temperatures rarely drop below 10 degrees Celsius. Likewise installing air-conditioning is not going to be a priority if you live in somewhere like the UK where you will only need it for 2 or 3 months a year. You will add value, but people in the UK, in general, do not expect to have air-conditioning. In fact, most people are happy to save on their electric bill in the summer months because they do not need to use their central heating. Before forking out large sums of cash on a new kitchen just for the sake of it, you should consider your how security conscious your house is. CCTV installations, burglar and fire alarms, as well as access control systems, will always add value to your home. First, anyone that wants to purchase your property will be able to save on house insurance premiums if alarms, access control, and CCTV are installed. Furthermore, they can save on their car insurance if CCTV covers the parking area for the property. Check out this article on First Contact Fire & Security explaining how CCTV systems reduce insurance premiums. Secondly, just the presence of a CCTV system will add value to the property if when the appraiser comes over to value your property. One of the key points in any report made by a realtor or estate agent is how secure the home is. Having CCTV, alarms and other security features installed means that your property will be deemed as fully equipped to deter thieves from breaking in or attempting to steal anything from around the property. Why Is CCTV Security The Most Popular Security System Today? CCTV is now as popular as having an intruder alarm. 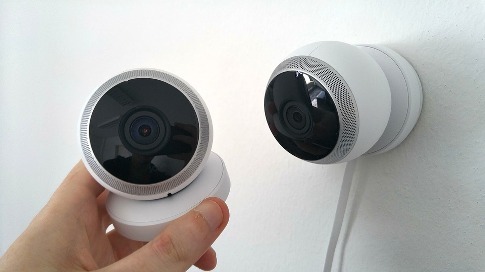 The price of home and office CCTV has gone down, while the quality has improved. For those of us who grew up in the 80s, CCTVs were relatively unheard of. Even if someone happened to know about CCTV, they were generally seen as an extremely expensive security solution which was used by large institutions like governments and banks etc. The coming of the internet and advancement in wireless technology has changed all that completely. Today, closed circuit televisions (CCTVs) have emerged as an extremely popular and inexpensive way to secure public as well as private property. From your doorstep to an ATM kiosk; from your office desk to every shopping mall, every bank and every major street corner in almost every large city on the planet; CCTVs have truly become ubiquitous. Mass production has led to a drastic fall in prices making CCTVs extremely affordable. Advances in manufacturing technology have also led to the appearance of various forms of closed-circuit cameras. From “spycams” which can be hidden in everyday objects like pens, clocks, shirt buttons etc. to wireless cameras which can be remotely controlled by smartphones and via the internet to large integrated networks of CCTV systems that watch over a big city; the range of different CCTV products and systems is truly staggering. After the unfortunate terrorist attack on 9/11, governments all over the world have started using large CCTV based networks to monitor major public places and entire cities. These networks contain thousands of CCTV cameras and make it possible to monitor millions of citizens at any given time. This has led to serious debates about the violation of individual privacy. So why is CCTV security so popular? Some major reasons are detailed below. Prevention of Crime: The presence of CCTVs at commercial establishments like shops and malls and at financial establishments like banks and ATMs have gone a long way in preventing theft and vandalism. CCTV recordings with time stamps have been used very effectively to prosecute criminals in courts of lawmaking CCTVs the ultimate crime deterrent. Monitoring Employees and Dependants: CCTVs are now widely being used by corporations to monitor their employees. This boosts productivity and deters employees from unapproved activities. CCTVs are also widely used in residences and old age homes to monitor the young and the elderly and also monitor their caregivers. This goes a long way in deterring theft or inappropriate behavior by caregivers. Remote monitoring over the internet also makes it possible for individuals to monitor their property while they are away at work or on vacations. Quick Response to Accidents and Violence: Large CCTV networks which cover entire cities on a 24/7 basis make it possible for city governments to rapidly react to any form of accidents and/or violence at any time. From fights to riots to car accidents at odd hours; an efficient CCTV network allows the relevant authorities to detect and immediately respond to such events. Preventing Terrorism: While the use of CCTV networks to track individuals suspected of being involved in terrorism remains very controversial. It cannot be denied that large CCTV networks play a huge part in securing big cities from possible terrorist attacks. CCTV networks can also be used to identify and apprehend terrorists in such cases. The presence of large CCTV networks has gone a long way in deterring acts of mass terrorism in the last decade. 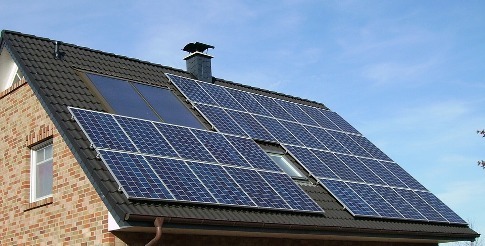 Solar power is expensive to have installed, and it usually takes 5 to 10 years to get a return on your investment. If you own a large property with more than 4 people living there, for obvious reasons you will gain a return much faster compared to having only 2 or 3 people living in the house. Once the installation is complete the value added to your house should be roughly 135% of the cost of the installation. According to this article on Cost of Solar, a 3.1-kilowatt system can raise the value of a property by as much as US$18,000. A 5-kilowatt system can add up to $29,500 to your property. In addition to this, the article claims that having solar power will help you sell your home 20% quicker than a home without solar power. It is quite a bold claim, but worth investigating. Another area of people’s properties that can be ignored is window replacement or repairs. The ROI you can earn from replacing old windows is quite shocking. According to an article on CNBC spending $10,000 on new windows will bump up the value of the home by $18,500. If you have $10,000 spare, then it is well worth investing in new windows just for the $8,500 profit you make from doing this. In the end, you could turn a $30,000 or $50,000 investment into as much as a $100,000 return on your property investment if you make sensible and educated decisions on where best to invest your cash. You can also look for more information from an expert in Window Maintenance here to get a better of idea of why window maintenance is so important. We will also continue with some more tips about keeping your windows clean. If you are looking make an attempt at a professional window cleaning, read these 5 insider tips for window cleaners to get the most out of your effort. Make sure your cleaner dilution is cleanly: If your cleaner instructions call for it to be diluted, then you need to be sure you are not contaminating your cleaner with a poor water source. Most of us won't spare a single thought about the contents of our cleaning water, but when it comes to cleaning glass windows you need to really consider this choice carefully. It is recommended that you use a distilled water source. Distilled water has been stripped of its mineral content, which means it will not leave any grimy deposits on your window when it dries. Vinegar: If you are serious about cheap home cleaning attempts, vinegar should be in your arsenal. This acidic solution is equally at home on a salad, French fry, or window pane. A simple 50:50 vinegar-to-water solution can do wonders for amateur window cleaners seeking a cost-effective solution. Readers should take heed, though - vinegar can be stinky, and may be best reserved for outdoor glass window cleaning! Be stringent with your suds: One of the worst culprits for streaky windows is an excess of suds. Overdoing it with the soap can leave you with tons of residue. Soap up in moderation; more is not always better. Call in a professional! If you want the look without the learning curve or the effort, you only need to call a professional window cleaning company. This really will be the only way to guarantee the look of a professional window cleaning. Arriving on the scene with the best equipment and industry-leading training under their belts, a pro will provide a professional window cleaning service. Look for companies that offer a streak-free guarantee, and all work is insured to prevent any homeowner stress or expenses.